THURSDAY ~ OCTOBER 26TH, 2017 AT 10 A.M.
HI-BIDDERS, PROSPECTIVE BIDDERS & BUYERS OR OTHER PERSONS ATTENDING THIS AUCTION AGREE THEY HAVE READ THESE TERMS AND CONDITIONS AND AGREE TO BID SUBJECT TO THE TERMS & CONDITIONS. REGISTRATION: ALL BIDDERS ARE REQUIRED TO PRE-REGISTER FOR BID NUMBERS AT WWW.BIDSPOTTER.COM/INDEX.PHP BUYERS REQUIRED TO GIVE FULL NAME, ADDRESS AND PHONE NUMBER AT TIME OF REGISTRATION WITH PHOTO IDENTIFICATION. ATTRIBUTION, PROVENANCE OR CONDITION CONCERNING THE PROPERTY OR ANY WARRANTY THAT ANY ITEM COMPLIES WITH ANY APPLICABLE FEDERAL OR STATE LAWS. NO STATEMENT SET FORTH IN THE ATTACHED LIST OR MADE AT THE SALE OR IN THE BILL OF SALE OR INVOICE OR ELSEWHERE, WHETHER ORAL OR WRITTEN, SHALL BE DEEMED SUCH A WARRANTY OR REPRESENTATION OR AN ASSUMPTION OF LIABILITY.  ALEXANDER AUCTIONS & REAL ESTATE SALES, & THE AUCTIONEER, MAKES NO REPRESENTATION OR WARRANTY AS TO THE ACCURACY OF THE DESCRIPTIONS OR REPRESENTATIONS WHICH WERE PROVIDED BY THE SELLER AND ARE LISTED ON THE ATTACHED OR AS TO THE CONDITION OF THE ITEM. 2. 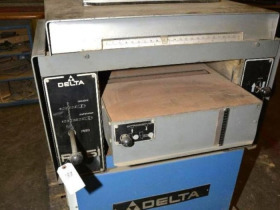 CONDITIONS OF ITEMS SOLD: NEITHER THE AUCTIONEER NOR SELLER ARE RESPONSIBLE FOR THE CORRECT DESCRIPTION, AUTHENTICITY, GENUINENESS OF OR DEFECT IN ANY LOT, AND MAKES NO WARRANTY IN CONNECTION THEREWITH. NO ALLOWANCES WILL BE MADE OR SALE SET ASIDE ON ACCOUNT OF ANY INCORRECTNESS, ERROR IN CATALOGUING OR ANY IMPERFECTION NOT NOTED. NO DEDUCTION WILL BE ALLOWED ON DAMAGED ARTICLES AS ALL GOODS BEING EXPOSED FOR PUBLIC EXHIBITION ARE SOLD 'AS IS” AND WITHOUT RECOURSE. 3. INTERNET BIDDING: NEITHER ALEXANDER AUCTIONS & REAL ESTATE SALES OR THE COMPANIES PROVIDING THE INTERNET BIDDING SOFTWARE NOR THE AUCTION COMPANY SHALL BE HELD RESPONSIBLE FOR A MISSED BID OR THE FAILURE OF THE SOFTWARE TO FUNCTION PROPERLY FOR ANY REASON. ALEXANDER AUCTIONS SHALL NOT HAVE ANY LIABILITY IF YOUR BID IS NOT ENTERED. 4. INTERNET OPERATIONS: IN THE EVENT TECHNICAL DIFFICULTIES RELATED TO THE SERVER, SOFTWARE OR ANY OTHER ONLINE AUCTION RELATED TECHNOLOGIES OCCUR, ALEXANDER AUCTIONS & REAL ESTATE SALES RESERVE THE RIGHT TO EXTEND BIDDING, CONTINUE THE BIDDING, CLOSE THE BIDDING OR INCREASE OR DECREASE THE EXTENDED TIME AT THE END OF THE AUCTION. 5. ALL BIDS ARE SUBJECT TO ACCEPTANCE BY THE AUCTIONEER. NO BID SHALL BE DEEMED A VALID BID UNTIL ACCEPTED BY THE AUCTIONEER. ALL BIDS ARE ACCEPTED AT THE SOLE DISCRETION OF THE AUCTIONEER. 6. REMOVAL: BUYERS ASSUME ALL RESPONSIBILITY FOR REMOVAL, CRATING, LOADING, TRANSPORTATION AND HANDLING OF PURCHASES. 7. MINIMUM STARTING ON-LINE BID ON ANY ITEM IS $25.00. 8. LIVE ONSITE BIDDING: A 10% BUYER'S PREMIUM WILL BE ADDED TO THE FINAL BID TO REACH THE TOTAL SELLING PRICE OF EACH ITEM. 9. LIVE ONSITE BIDDING: A 13% BUYER’S PREMIUM WILL BE ADDED TO THE FINAL BID TO REACH THE TOTAL SELLING PRICE FOR ALL ITEMS THAT ARE NOT PAID FOR BY CASH, CASHIER’S CHECK, CERTIFIED FUNDS, WIRE TRANSFER OR PERSONAL CHECK. WE ACCEPT VISA AND MASTER CARD ONLY ON PURCHASES UNDER $1,000.00. 10. INTERNET BIDDING ONLINE AND ABSENTEE BIDDING: A 13% BUYER’S PREMIUM WILL BE ADDED TO THE FINAL BID TO REACH THE TOTAL SALES PRICE OF EACH ITEM FOR ONLINE AND ABSENTEE BIDDING THAT ARE PAID FOR BY CASH, CASHIER’S CHECK, CERTIFIED FUNDS OR WIRE TRANSFER. 11. INTERNET BIDDING ONLINE AND ABSENTEE BIDDING: WE ACCEPT VISA AND MASTERCARD ONLY ON PURCHASES UNDER $1,000.00. 12. INTERNET BIDDING ONLINE AND ABSENTEE BIDDING: A 16% BUYER’S PREMIUM WILL BE ADDED TO THE FINAL BID TO REACH THE TOTAL SALES PRICE FOR EACH ITEM FOR ONLINE AND ABSENTEE BIDDING THAT ARE NOT PAID FOR BY CASH, CASHIER’S CHECK, CERTIFIED FUNDS OR WIRE TRANSFER. WE ACCEPT VISA AND MASTER CARD ONLY. 13. ON-LINE & ABSENTEE BIDDING: YOUR CREDIT CARD WILL BE CHARGED IMMEDIATELY FOLLOWING THE AUCTION. BY REGISTERING AND DESIRING TO PAY BY CREDIT CARD BIDDERS AGREE THERE CAN BE NO CHARGE BACK TO A CREDIT CARD. NO CHARGE BACKS ARE ALLOWED. 14. ALL PRE-AUCTION BIDS WILL BE ENTERED AT THE LIVE AUCTION. NO ITEM WILL BE SOLD AND CLOSED UNTIL AUCTIONEER DECLARES SOLD AT THE LIVE AUCTION. 15. ANYONE ATTENDING LIVE AUCTION CAN LEAVE AN ABSENTEE BID ON ANY ITEM, GO BY THE CASHIER'S DESK, SIGN A FORM, AND LEAVE PAYMENT. YOUR BID WILL BE EXECUTED. IF YOU ARE NOT THE SUCCESSFUL BIDDER, YOUR MONEY WILL BE REFUNDED. 16. THE AUCTIONEER HAS THE SOLE DISCRETION TO ADVANCE THE BIDDING AND MAY REJECT ANY AND ALL BIDS THAT, IN THE AUCTIONEER’S SOLE DISCRETION, DOES NOT ADVANCE AND/OR ARE INJURIOUS TO THE AUCTION, INCLUDING BUT NOT LIMITED TO NOMINAL, SUSPICIOUS AND/OR SUSPECT ADVANCES. 17. SALES TAX: INVENTORY IS NOT SUBJECT TO TENNESSEE STATE TAX. NO SALES TAX WILL BE COLLECTED. 18. PAYMENT: ALL PURCHASES MUST BE PAID FOR ON SALE DAY. 19. TYPE OF PAYMENT: PAYMENTS MUST BE MADE IN U.S. CURRENCY BY CASH, CASHIER’S BANK CHECK, CERTIFIED BANK CHECK, OR PERSONAL CHECK WITH IRREVOCABLE BANK LETTER OF GUARANTEE MADE TO ALEXANDER AUCTIONS & REAL ESTATE SALES, ESCROW ACCOUNT. PURCHASERS WHO WISH TO PAY BY PERSONAL CHECK MUST BE CLEARED BY ALEXANDER AUCTIONS & REAL ESTATE SALES OR BY THE SELLER BEFORE THE LIVE AUCTION. ALL PROSPECTIVE BIDDERS ARE REQUIRED TO PRE-REGISTER FOR A BIDDING NUMBER AND GIVE EVIDENCE OF THEIR CREDIT-WORTHINESS. 20. LETTER OF GUARANTY- A SAMPLE LETTER OF GUARANTY TO ALEXANDER AUCTIONS AND REAL ESTATE SALES IS POSTED AFTER THESE TERMS. BANK GUARANTY AGREEMENT IN REGARD TO BIDDING FOR A BUSINESS ENTITY: BY SUBMITTING A BID IN THE NAME OF A BUSINESS ENTITY OR CORPORATION, THE INDIVIDUAL SUBMITTING THE BID ENTERS INTO A GUARANTY AGREEMENT WHEREBY HE OR SHE PERSONALLY GUARANTEES PAYMENT TO ALEXANDER AUCTIONS & REAL ESTATE SALES AND COMPLETION OF THE TRANSACTION. COSTS OF RE-SALE WILL BE THE RESPONSIBILITY OF THE DEFAULTING PURCHASER. INCURRED, PLUS ANY DEFICIT INCLUDED ARISING FROM THE BUYER’S DEFAULT. 22. VIEWING & INSPECTION: EQUIPMENT AND ITEMS BEING SOLD ARE AVAILABLE FOR INSPECTION, AND SOLD 'AS IS” “WHERE IS” AND WITHOUT RECOURSE. ARTICLES ARE NOT WARRANTED AS MERCHANTABLE OR FIT FOR ANY PARTICULAR PURPOSE, AND NO CLAIM MAY BE MADE BY PURCHASER RELATING TO THE CONDITION OR USE OF ARTICLES PURCHASED OR FOR PROXIMATE OR CONSEQUENTIAL DAMAGES ARISING THEREFROM. FALL OF THE HAMMER. NO ITEMS CAN BE RETURNED OR TURNED DOWN. IF YOU PURCHASE AN ITEM AND DO NOT PAY ALEXANDER AUCTIONS WILL PROCEED TO COLLECT PAYMENT IN A LEGAL MANNER. TAKING OF ANY ITEM OR THEFT OF ANY ITEM. WRONG DOING WILL BE PROSECUTED TO THE FULLEST EXTENT OF THE LAW. UPON THE FALL OF THE AUCTIONEER'S HAMMER AT THE LIVE AUCTION. BUYER ASSUMES ALL RESPONSIBILITY FOR THE ITEM OR ITEMS AFTER THE FALL OF THE HAMMER AND AGREES TO PAY THE TOTAL PURCHASE PRICE. FROM THE PREMISES UNTIL THE TOTAL PURCHASE PRICE HAS BEEN PAID. ANY ITEMS LEFT AND NOT REMOVED FROM THE PREMISES REMAIN AT THE SOLE RISK OF THE BUYER. REMOVAL SHALL BE AT THE EXPENSE, LIABILITY, AND RISK OF THE PURCHASER. PURCHASES CAN BE REMOVED ONLY ON PRESENTATION OF ORIGINAL BILL OF SALE. PHOTOSTATS OF BILLS OF SALE WILL NOT BE ACCEPTED FOR REMOVAL. UPON FAILURE OF PURCHASER TO REMOVE GOODS WITHIN TIME SPECIFIED AS POSTED OR ANNOUNCED, AUCTIONEER SHALL HAVE THE OPTION OF REMOVING AND STORING THE GOODS AT EXPENSE AND RISK OF THE PURCHASER OR DEEMING MONEY DEPOSIT FORFEITED IN WHICH CASE AUCTIONEER MAY RESELL WITHOUT NOTICE AT PUBLIC SALE OR OTHERWISE DISPOSE OF GOODS AT RISK AND EXPENSE OF PURCHASER. PURCHASER SHALL REMAIN LIABLE FOR LOSS, EXPENSE AND DAMAGES ARISING FROM THE PURCHASER’S DEFAULT. 27. DISPUTE BETWEEN BIDDERS: IF ANY DISPUTE ARISES BETWEEN TWO OR MORE BIDDERS, THE AUCTIONEER MAY DECIDE THE SAME OR MAY IMMEDIATELY PUT THE LOT OR ITEM UP FOR SALE AGAIN, AND RE-SELL TO THE HIGHEST BIDDER. THE DECISION OF THE AUCTIONEER SHALL BE FINAL AND ABSOLUTE. 28. ADDITION TO OR WITHDRAWAL FROM SALE: THE AUCTIONEER RESERVES THE RIGHT TO WITHDRAW FROM SALE ANY OF THE ITEMS; TO SELL AT THIS AUCTION ITEMS NOT LISTED; TO GROUP ONE OR MORE LOTS INTO ONE OR MORE SELLING LOTS OR TO SUBDIVIDE INTO TWO OR MORE SELLING LOTS. THE AUCTIONEER ALSO RESERVES THE RIGHT TO SELL ALL OF THE ITEMS LISTED IN BULK. 29. AUCTION COMPANY & AUCTIONEER: AUCTION COMPANY& AUCTIONEER IS ACTING AS AN AGENT AND INDEPENDENT CONTRACTOR IS NOT RESPONSIBLE FOR ACT OF ITS PRINCIPALS. 30. OWNERSHIP: ITEMS BECOME THE SOLE RESPONSIBILITY OF THE PURCHASER IMMEDIATELY AT KNOCKDOWN. NO REFUNDS OR ADJUSTMENTS WILL BE ALLOWED FOR ANY SHORTAGES. IF YOU BELIEVE YOU ARE ENTITLED TO AN ADJUSTMENT TO YOUR INVOICE DUE TO MISSING OR DAMAGES ITEM(S), YOU, YOUR MOVER OR YOUR RIGGER MUST REPORT THE PROBLEM TO OUR ON-SITE SUPERVISOR PRIOR TO SETTLEMENT AND THE ITEMS LEAVING THE PROPERTY. ONCE THE ITEM HAS LEFT THE PROPERTY, THERE WILL BE NO ADJUSTMENTS. WHEN YOU HIRE A MOVER/RIGGER, THE MOVER/RIGGER IS ACTING AS YOUR AGENT. WE WILL NOT ACCEPT THAT THE MOVER/RIGGER DID NOT NOTIFY YOU OF A MISSING OR DAMAGED ITEM(S) OR THAT IT WAS DISCOVERED THAT AN ITEM(S) WAS MISSING OR DAMAGED WHEN YOUR PURCHASES WERE DELIVERED TO YOUR FACILITY. ALL BIDDERS AND MOVERS/RIGGERS MUST BE AWARE OF THIS POLICY! IF FOR ANY REASON WHATSOEVER A PROPERTY AS BID CANNOT BE DELIVERED WITHIN THAT PERIOD OF TIME OF DELIVER PROVIDED FOR AT THE SALE FOR ANY REASON WHATSOEVER, THE BUYER EXPRESSLY WAIVES LIABILITY ON THE PART OF ALEXANDER AUCTIONS & REAL ESTATE SALES, THE AUCTIONEER AND FURTHER AGREES THAT ANY OBLIGATION WITH RESPECT THERETO SHALL BE LIMITED TO THE BID AND PAID FOR SAID PROPERTY (ASSETS). 32. TITLES ON VEHICLES: PURCHASERS NAME SHALL BE INCLUDED ON THE TITLE EXCEPT FOR DEALERS. NO OPEN TITLES WILL BE GIVEN OUT AND NO NAMES WILL BE SWITCHED AFTER THE DAY OF THE AUCTION. 33. NON-DELIVERY RESPONSIBILITY: AUCTIONEER SHALL NOT, IN ANY EVENT, BE LIABLE FOR NON-REMOVAL OR FOR ANY OTHER MATTER, TO ANY PURCHASER OF ANY LOT. 36. NOMINAL BIDS: ANY BID WHICH IS MERELY A NOMINAL OR FRACTIONAL ADVANCE MAY BE REJECTED BY THE AUCTIONEER, IF IN HIS JUDGMENT IT MAY AFFECT THE SALE NEGATIVELY. 37. THE BUYER: DOES HEREBY ASSUME AND DOES AGREE TO INDEMNIFY AND HOLD ALEXANDER AUCTIONS & REAL ESTATE SALES, THE AUCTIONEER AND SELLER HARMLESS FROM ANY FUTURE CLAIM WHICH SHALL PERTAIN TO THE FITNESS OR USE FOR A PARTICULAR PURPOSE OF THAT ASSET AS BEING PURCHASED. 38. ADDITIONAL TERMS AND CONDITIONS: REFER TO ADDITIONAL PAYMENT TERMS AND REMOVAL TERMS. ADDITIONAL TERMS OR CONDITIONS OF SALE MAY BE ADDED BY AUCTIONEER BY POSTING IN THE AUCTION CATALOG POSTED ON THE PREMISES PRIOR TO THE AUCTION OR ANNOUNCED FROM THE AUCTION STAND. 39. CONDUCT OF AUCTION: ALEXANDER AUCTIONS & REAL ESTATE SALES, THE AUCTIONEER RESERVES THE RIGHT, WITHOUT GIVING ANY REASON, TO PUT UP ITEMS OUT OF NUMERICAL SEQUENCE AND TO WITHDRAW ANY ITEM, ITEMS, OR LOT FROM THE AUCTION. 40. PURCHASER SHALL BE RESPONSIBLE FOR THE LOADING AND MOVING OF THEIR ITEMS. ALEXANDER AUCTIONS & REAL ESTATE SALES DOES NOT LOAD OR REMOVE ITEMS. 41. 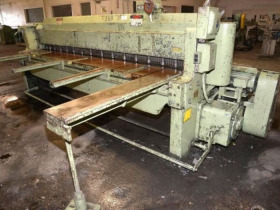 ALL EQUIPMENT, MACHINERY, INVENTORY AND OTHER ITEMS ARE SOLD “AS IS” WITHOUT A WARRANTY OR GUARANTEE MADE, EXPRESSED OR IMPLIED AS TO THE CONDITION OR FITNESS FOR A PARTICULAR PURPOSE OR A PARTICULAR USE. 42. SAFETY DEVICES: ARTICLES PURCHASED MAY NOT INCORPORATE APPROVED ACTIVATING MECHANISMS, OPERATING SAFETY DEVICES OR SAFETY GUARDS, AS REQUIRED BY OSHA OR OTHERWISE. IT IS PURCHASER'S RESPONSIBILITY THAT ARTICLES PURCHASED BE SO EQUIPPED AND SAFEGUARDED TO MEET OSHA AND ANY OTHER REQUIREMENTS BEFORE PLACING SUCH ARTICLES INTO OPERATION. 43. INDEMNIFICATION: PURCHASER SHALL DEFEND AND INDEMNIFY AND HOLD AUCTIONEER AND SELLER HARMLESS FROM AND AGAINST ALL CLAIMS AND LIABILITIES RELATING TO THE CONDITION OF, REMOVAL OF, OR USE OF THE ARTICLES PURCHASED OR FAILURE OF USER TO FOLLOW INSTRUCTIONS, WARNINGS OR RECOMMENDATIONS OF THE MANUFACTURER, OR TO COMPLY WITH FEDERAL, STATE, AND LOCAL LAWS APPLICABLE TO SUCH ARTICLES, INCLUDING OSHA REQUIREMENTS, AND ENVIRONMENTAL PROTECTION AGENCY REQUIREMENTS, OR FOR PROXIMATE OR CONSEQUENTIAL DAMAGES, COSTS OR LEGAL EXPENSES ARISING THEREFROM. ANY AND ALL CLAIMS, INCLUDING DEBT COLLECTION AND ALL OTHER DISPUTES OF ANY KIND, NATURE, OR CHARACTER WHATSOEVER ARISING FROM THIS AUCTION SALE SHALL BE BROUGHT IN THE APPROPRIATE COURT OF WEAKLEY COUNTY, TENNESSEE AND SHALL BE GOVERNED BY THE LAWS OF THE STATE OF TENNESSEE. SELLER, BIDDER AND BUYER EACH INDIVIDUALLY AND COLLECTIVELY BY VIRTUE OF PARTICIPATING IN THE AUCTION CONDUCTED BY ALEXANDER AUCTIONS & REAL ESTATE SALES DO HEREBY IRREVOCABLY AGREE TO SUBMIT THEMSELVES AND ANY CLAIMS TO THE JURISDICTION AND VENUE OF THE COURTS OF WEAKLEY COUNTY, TENNESSEE AND THE LAWS OF THE STATE OF TENNESSEE WHICH SHALL BE THE SOLE VENUE AND JURISDICTION FOR THE RESOLUTION OF ANY CLAIMS BETWEEN THEM AND ALEXANDER AUCTIONS & REAL ESTATE SALES REGARDLESS OF THE NATURE OR LOCATION. 45. ALEXANDER AUCTION IS NOT RESPONSIBLE FOR ITEMS THAT ARE NOT REMOVED WITHIN THE TIME PERIOD ALLOWED. ITEMS NOT REMOVED ON TIME WILL BE DEEMED ABANDONED. PURCHASER ACCEPTS FULL RESPONSIBILITY FOR ALL COSTS INCURRED BY AUCTION COMPANY OR REMOVAL, STORAGE, AND/OR DISPOSAL OF ABANDONED MERCHANDISE. 46. 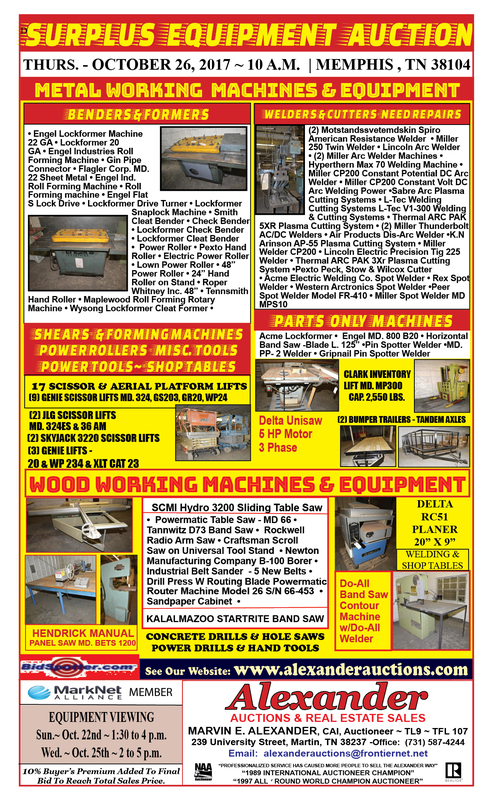 AUCTION INVENTORY CATALOGUE: ALEXANDER AUCTIONS HAS PREPARED A CATALOG LISTING MANY OF THE LOTS. MANY OF THESE LOTS CONTAIN VARIOUS ITEMS AND VARIOUS NUMBERS OF ITEMS. ALEXANDER AUCTIONS HAS ATTEMPTED TO OFFER AN APPROXIMATE COUNT ON SOME LOTS. TO GIVE AN INDICATION OF THE APPROXIMATE SIZE OF THE LOT. THE COUNT MAY BE MORE OR LESS. NO GUARANTEE IS GIVEN IN THE ACTUAL COUNT. NO SALES WILL BE SET ASIDE NOR WILL ANY ADJUSTMENTS BE MADE DUE TO A DISCREPANCY ON MULTIPLE LOT NUMBERS WHICH ARE SOLD AS A TOTAL DOLLAR AMOUNT FOR THE LOT. 47. ADDITIONAL TERMS AND CONDITIONS: THE AUCTIONEER MAY ADD, MODIFY, OR SUPPLEMENT OTHER TERMS AND CONDITIONS OF SALE, SUCH ADDITIONAL TERMS AND CONDITIONS PRINTED IN CATALOGUE OR ANNOUNCED AT THE AUCTION. 48. ANNOUNCEMENTS FROM THE AUCTION STAND WILL TAKE PRECEDENCE OVER ANY PREVIOUS ANNOUNCEMENTS OR STATEMENTS. 49. ALL BUYERS ACKNOWLEDGE AND ACCEPT BY SIGNATURE THESE TERMS AND CONDITIONS PROVIDED AT TIME OF REGISTRATION BY REGISTERING FOR A BID NUMBER. 1. ALL PURCHASES MUST BE REMOVED ACCORDING TO THESE AUCTION TERMS. 2. 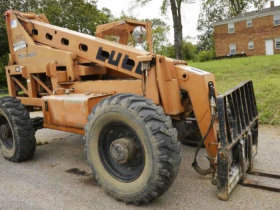 NO EQUIPMENT CAN BE LOADED OR REMOVED WITHOUT A PAID RECEIPT FROM ALEXANDER AUCTIONS. 3. MACHINES, EQUIPMENT AND INVENTORY CANNOT BE REMOVED DURING THE AUCTION ON AUCTION DAY, OCTOBER 26TH 2017. 4. 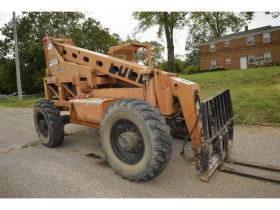 EQUIPMENT AND ITEMS CAN BE LOADED FOLLOWING AUCTION ON AUCTION DAY. 5. 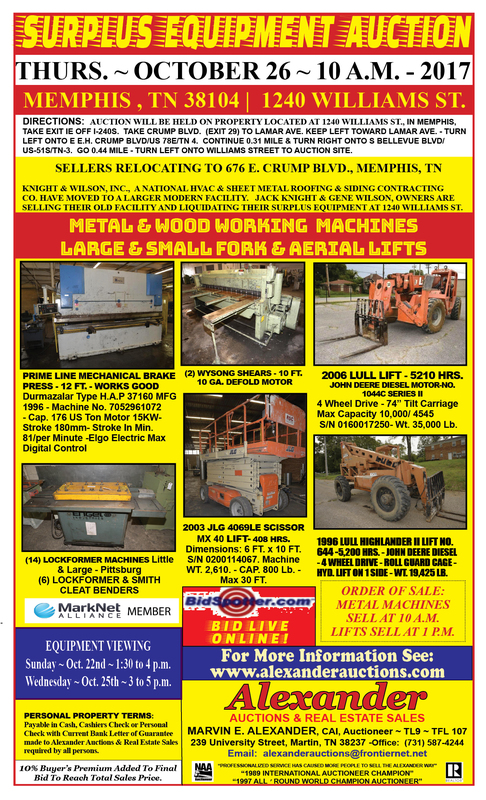 SELLERS/OWNERS WILL PROVIDE A DRIVER AND FORKLIFT TO LOAD SMALLER MACHINES. 6. 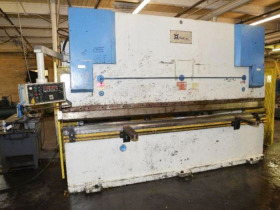 BUYER SHALL PAY FOR THE LOADING AND REMOVAL OF THESE LOTS: LOT 63: 1996 PRIME LINE MECHANICAL PRESS BRAKE – 12FT- TYPE HAP 37160, LOT 64: 2-WYSONG SHEARS 10FT- 10 GA MD. 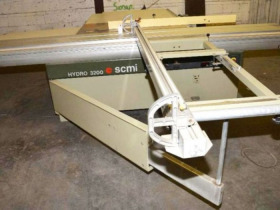 101C- RD , LOT 65: WYSONG SHEARS – 10FT, LOT 129: SCMI HYDRO 3200 SLIDING TABLE SAW, LOT 130: HENDRICK MANUAL PANEL SAW MODEL BETS 1200, AND LOT 140: DO ALL BAND SAW CONTOUR MACHINE MD. 3613-0. 7. EQUIPMENT, MACHINERY AND INVENTORY CAN BE REMOVED FRIDAY, OCTOBER 27TH, 2017 FROM 8:30 AM TO 4:00 PM AND MONDAY, OCTOBER 30TH, 2017 FROM 8:30 AM TO 4:00 PM. 8. ALL CARRIABLE AND SMALL ITEMS TO BE REMOVED ON AUCTION DAY. 9. NO LOADING SATURDAY, OCTOBER 28TH, 2017 AND SUNDAY, OCTOBER 29TH, 2017. 10. ALL ITEMS MUST BE REMOVED BY FRIDAY, NOVEMBER 17TH, 2017 BY 3:00 P.M. BY APPOINTMENT WITH JACK KNIGHT & GENE WILSON, OWNERS. 11. REMOVAL OF ITEMS AFTER MONDAY, OCTOBER 30TH, 2017 SHALL BE BY APPOINTMENT WITH SELLERS. 12. BUYER RESPONSIBLE FOR ARRANGING FOR THEIR SHIPPING, CRATING, AND EXPENSES TO REMOVE ACCORDING TO THE AUCTION TERMS. 13. ALL LOADING AND REMOVAL EXPENSE TO BE NEGOTIATED BETWEEN THE RIGGER AND THE BUYER TO PROVIDE ASSISTED HELP. 14. 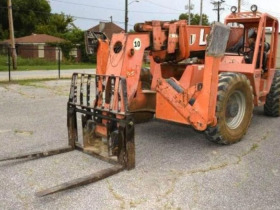 A PURCHASER CANNOT BRING A FORKLIFT IN THE BUILDING OR ON THE PROPERTY TO LOAD AND REMOVE EQUIPMENT AND ITEMS WITHOUT APPROVAL FROM JACK KNIGHT AND GENE WILSON, OWNERS AND ALEXANDER AUCTIONS & REAL ESTATE SALES. 16. PURCHASER(S) SHALL BE RESPONSIBLE FOR THEIR OWN LIABILITY INSURANCE AND CASUALTY INSURANCE FOR THEMSELVES AND THEIR EMPLOYEES AND AGREE TO HOLD HARMLESS ALEXANDER AUCTIONS & REAL ESTATE SALES AND THE SELLERS. 17. ANY SMALL OR LARGE ITEMS LEFT ON SITE AFTER THE AUCTION REMAIN AT THE RISK OF THE PURCHASER. ALEXANDER AUCTIONS & SELLER ARE NOT RESPONSIBLE. 18. REMOVAL OF ALL EQUIPMENT IS TO BE COMPLETED AS STATED IN THE GENERAL AND SPECIFIC REMOVABLE TERMS. ACCESS TO THE BUILDING WILL NEED TO BE ARRANGED THROUGH SELLERS. 19. 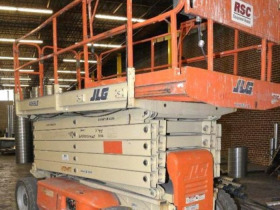 INFORMATION FOR RIGGERS INTERESTED IN MOVING EQUIPMENT AND ITEMS IS POSTED ON ALEXANDER’S WEBSITE AT www.alexanderauctions.com.